Located in the Region of Valparaíso, this biosphere reserve houses a unique combination of restricted distribution and vulnerable ecosystems typical of the central zone of the country. 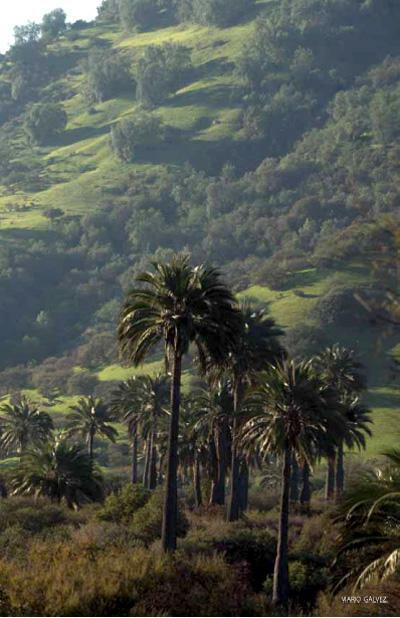 It houses various sclerophyllous and higrofilous formations, highlighting the Chilean palm forests and the relict forests of Santiago oak, among others. 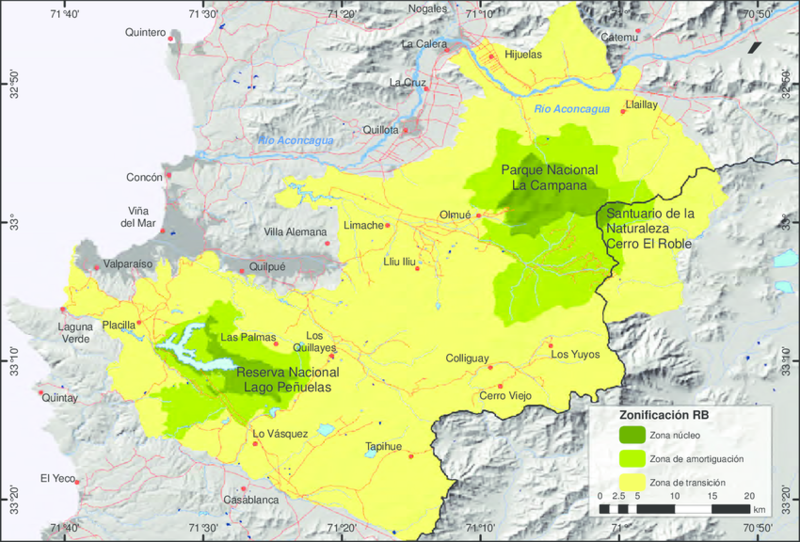 This reserve is located in one of the areas with greatest anthropic pressures within the Chilean territory, with strong agroforestry and industrial activities. It is close as well to two of the three largest urban centers in the country. These factors make up an urgent scenario in this reserve for the promotion, experimentation and dissemination of equilibrated relationships between human beings and the environment, which tend towards sustainable development.